This book is an anthology of the writing of Wilfred Burchett, perhaps the greatest journalist and war correspondent Australia has ever produced. He was also one of the most controversial figures of the Cold War, both in Australia and overseas. 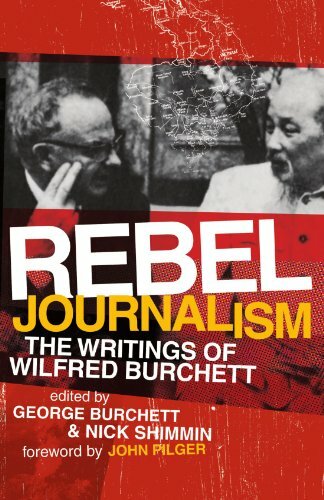 Burchett published more than 30 books, and this volume brings together extracts from most of these, spanning the entire breadth of his career, from before World War 2, through Hiroshima, Eastern Europe, Korea, Russia, Laos, Cambodia, China, Vietnam, Angola, Rhodesia and other areas from which Burchett reported. The book presents these fields of reportage chronologically, and thus serves not only as a significant historical overview of the period, but also as a reader in Cold War journalism. This book is an anthology of the writing of Wilfred Burchett, perhaps the greatest journalist and war correspondent Australia has ever produced. He was also one of the most controversial figures of the Cold War, both in Australia and overseas.